If you are looking for a used BMW X6 in Vancouver, North Vancouver and surrounding area, the Goldline Motors sales team will be able to satisfy your needs. 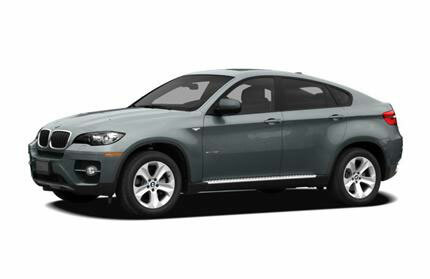 Goldline Motors always has a great selection of pre-owned BMW X6 in stock and add to the vehicle inventory daily. At Goldline Motors we proudly sell used BMW X6 to customers from Vancouver, North Vancouver, Richmond, Burnaby, Surrey, New Westminster, Coquitlam, Delta, Abbotsford and Victoria. The BMW X6 Sports Activity Coupe combines coupe-like agility and style with the versatility of a SUV. The distinctive 4-door, 4-passenger X6 features two rear seats in a sculpted single-seat design and BMW's xDrive intelligent all-wheel drive system. The BMW X6 is available in two trim levels: xDrive35i and xDrive50i. The xDrive35i is powered by a 300-hp 3.0-liter turbocharged inline six-cylinder engine, while the xDrive50i boasts a twin-turbo V8, generating 400 horsepower and 450 pound-feet of torque. The BMW X6 carries over with minimal changes for 2012. Enhanced standard equipment includes privacy glass, auto-dimming mirrors, heated front seats, BMW Assist with Bluetooth and a USB port. Additionally, a new rear middle seat option increases capacity to five passengers. Source: Chrome Data. BMW X6 Review:...the 2009 BMW X6 is positively dripping with machismo. -- Popular Mechanics. Source: Chrome Data.